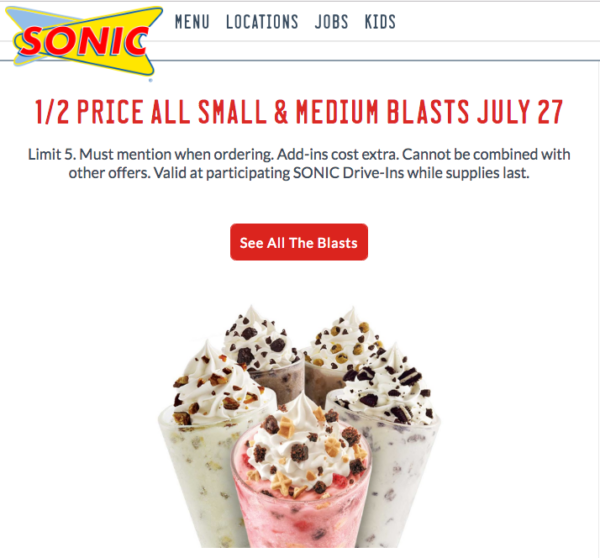 Today (7/27) only, participating Sonic Drive-In locations will take 50% off small and medium Blasts. No coupon is required. That's a savings of up to $2.